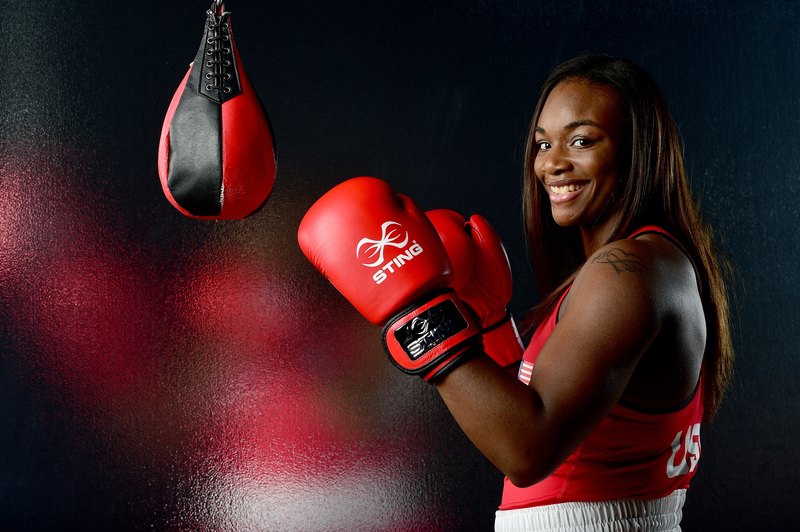 Do you remember Claressa Shields' dramatic gold medal win at the 2012 Olympics in London? If you're a big fan of Olympic boxing, then you probably heard about it at the time. Shields, then just 17 years old, set the international boxing world ablaze by defeating Russian fighter Nadezda Torlopova and securing the first women's boxing gold medal in Olympic history. It was an electric and terrific moment, even though it got somewhat overlooked and overshadowed at the time. But now you're getting another chance. So why not watch Claressa Shields win gold at the 2012 London Olympics before tuning in to see how she fares in Rio? Shields is currently the top-ranked woman in the world in the middleweight class, and she's heading into the bouts in Rio as a decisive favorite to repeat and seize the gold. Now 21, the native of Flint, Michigan is vying to add another Olympic medal to her collection, and become both the first woman and the first American woman to win multiple golds in boxing, for a little added history on top. She's not through to the final yet, to be clear, but she's close. She'll be facing Yaroslava Yakushina of Russian in the quarterfinals, and it's scheduled to go down at 1:30 p.m. ET on Wednesday, August 17. And if you're looking to relive Shields' dramatic victory at the London games — nothing wrong with getting yourself pumped up, right? — then you're in luck. You can watch the full match here, courtesy of the Olympic YouTube channel. Shields didn't win by knockout; rather she went the distance with the veteran Russian fighter. As was reported during Shields' rapid ascent in 2012, her victory again Torlopova and claiming of the gold medal all came before she had even graduated high school. Meaning you'll likely be seeing a more mature and refined boxer this time around. She also has a different opponent, needless to say. Torlopova was already 33 during the 2012 Summer Olympics, a full 16 years older than Shields. Now, at 37, she's given way to Takushina — a younger, fresher Russian fighter, just 23. In other words, it ought to be a good fight, even if Shields enters as the heavy favorite. You can never quite know who's going to prevail in a boxing match until you actually see it play out, after all — the puncher's chance and all that. If anything's for certain, however, it's that you won't want to miss any of the action. So do yourself a favor and get familiar with the schedule. Shields has the quarterfinal on Wednesday afternoon at 1:30 p.m. ET, and assuming she wins, she'll move on to the semifinal on Friday, August 29 (starting at either 2:30 or 2:45 p.m. ET). Assuming she prevails, then it'll be on to the finals, with a second gold medal on the line. That'll be going down on Sunday, August 21 at 1:00 p.m. ET. Here's hoping Shields fights all the way back and completes the repeat! After all, that's the only way for her to have a shot at three gold medals in a row when the 2020 games in Tokyo roll around. I mean, why settle for one or two of them when you can keep on winning?